Photo by Bleu Cotton Photography, Inc.
All that hard work paid off. 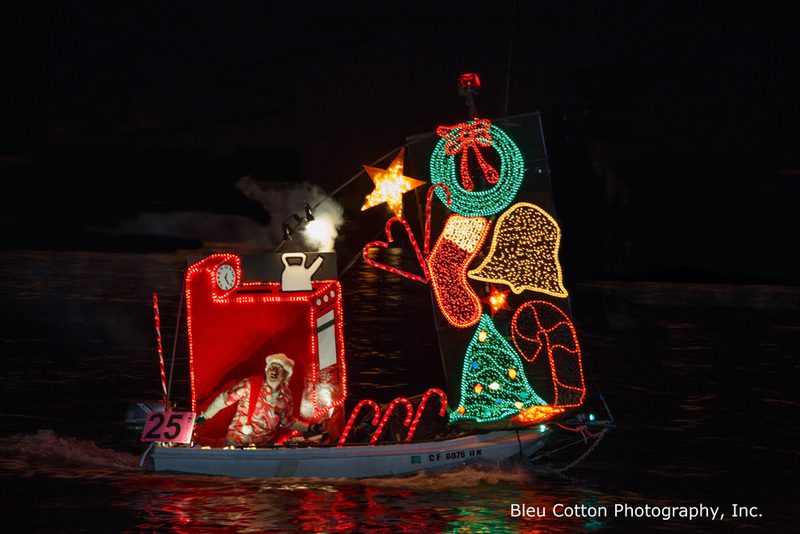 D25, Peter Barbour’s entry in the Newport Beach Christmas Boat Parade earned First Place, Best Animation/Special Effects. This is the 11th time D25 has won an award in the parade. The theme for 2014 was “Something’s Cooking in the Kitchen” and included a boiling tea kettle on a stove with smoke (steam) effects. All of the items on the sail area are animated and are controlled by a total of four computers. If you look closely, a Christmas “Easter Egg” is planted on the stove. Do you see it? Maybe this photo, taken when the decorations were still under construction will help. Here are some more images of D25 under construction . 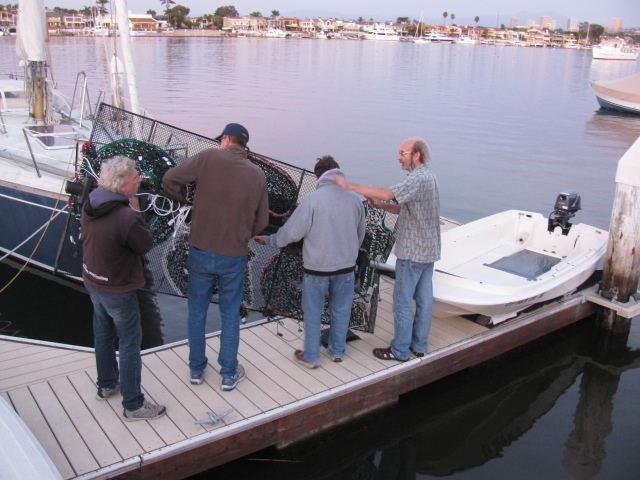 . .
Other 2014 Newport Beach Christmas Boat Parade Winners are posted on the official Newport Beach Christmas Boat Parade website. Peter is N6RAS. 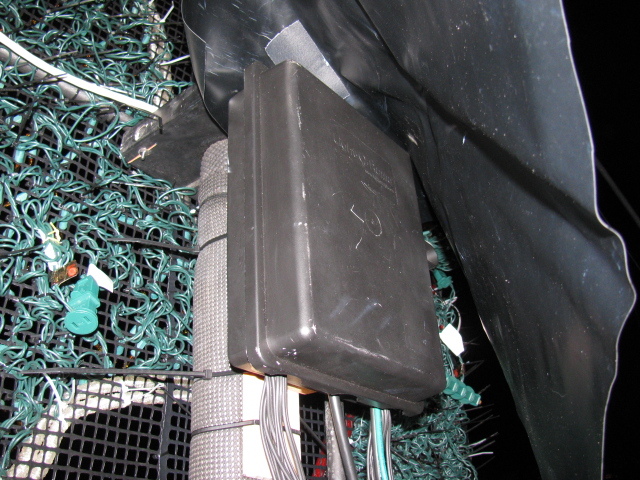 D25 includes Amateur Radio equipment as well as a GPS and APRS locator/tracking system on board. What’s in store for Christmas 2015? Only Peter knows – but we can all look forward to something amazing! 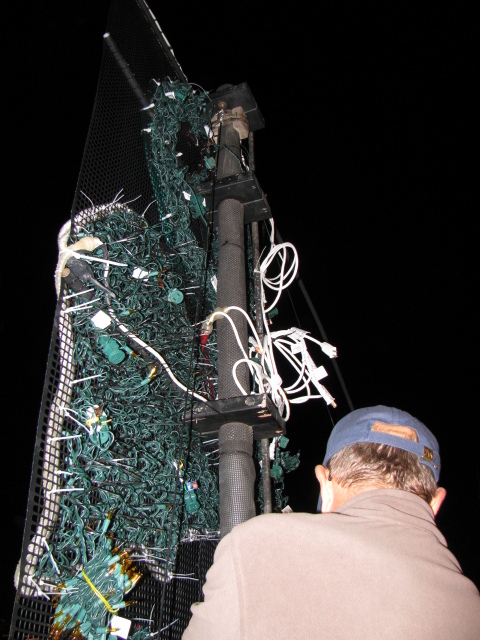 Peter Barbour, a fellow ham radio operator and volunteer of the Huntington Beach Fire Department RACES group, has been sharing his holiday cheer and enthusiasm of the Christmas season by decorating his sailboat and entering the Newport Beach (CA) Christmas Boat Parade. As this is being written, winners for 2014 have not been announced, so stay tuned and cheer for D25! 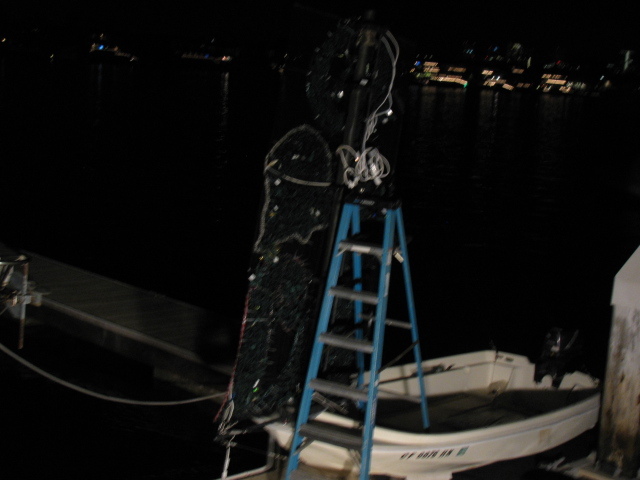 Peter combines his computer programming and hardware-hacking skills with his knowledge of sailing that result in a series of award-winning and crowd-pleasing displays. 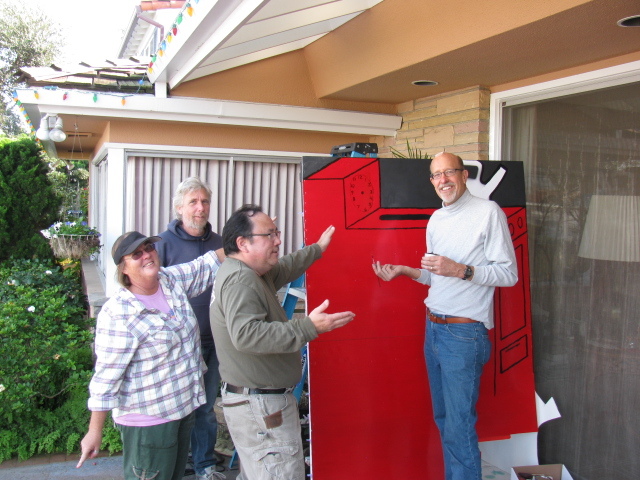 I am proud to be one of Peter’s helpers in constructing some of his award-winning entries. Where is D25 Right Now? D25 is equipped with an Amateur Radio tracking system called APRS. Click here to see D25’s real-time location and map. For more information on ham radio APRS, the Automatic Packet Reporting System, click here. D25’s debut design was inspired by the idea of Santa’s sailing sled being borrowed by a mischievous elf. 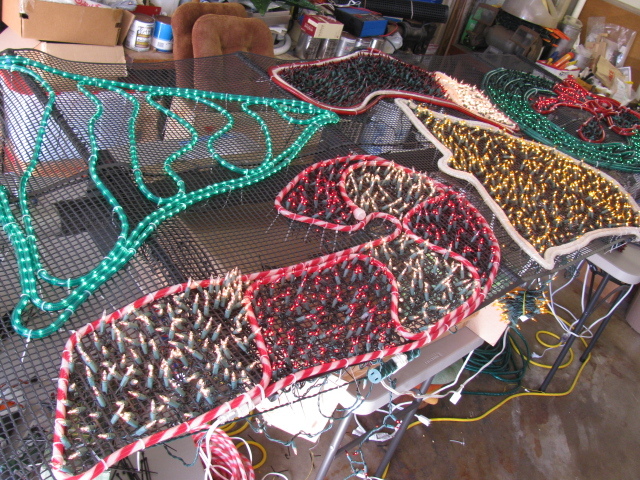 D25’s second design was inspired by a classic Christmas living room scene. A large decorated Christmas tree with presents stacked below the bows and a star atop, red brick fireplace with a roaring fire and stockings hung below a mantle. 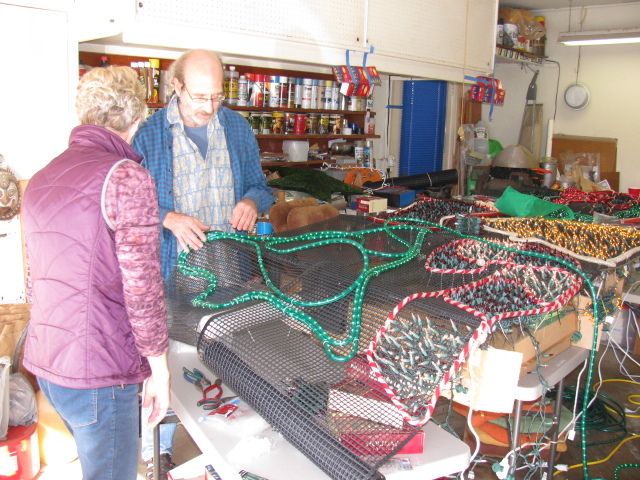 In the middle of November, Original Productions, Inc. asked Peter to appear on a documentary on intense holiday decorations for TLC: The Learning Channel. The episode “More Crazy Christmas Lights” premiered on December 8, 2007. Surf’s Up on D25 features over 5,025 lights brilliantly illuminating a holiday surfer’s dream wave. D25’s strobe light marks the lip of the wave and a hot-doggin’ holiday penguin is in the cave catching some gnarly tubular action. 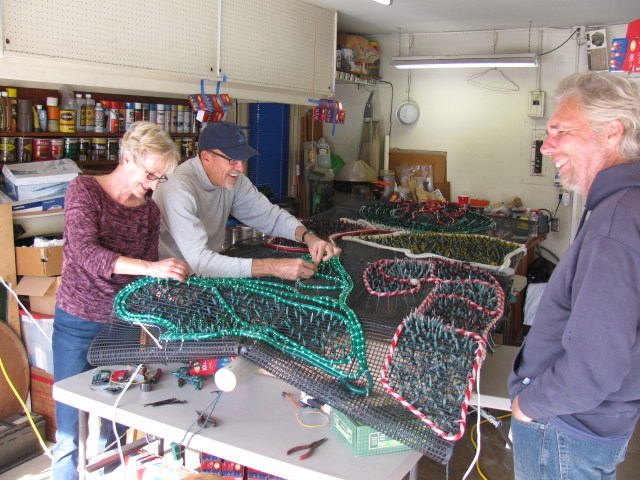 D25 for 2008 was inspired by the origins of the Newport Beach Christmas Boat Parade on July 4, 1908. John Scarpa, an obscure Italian gondolier, led a parade with eight fellow small boat operators. 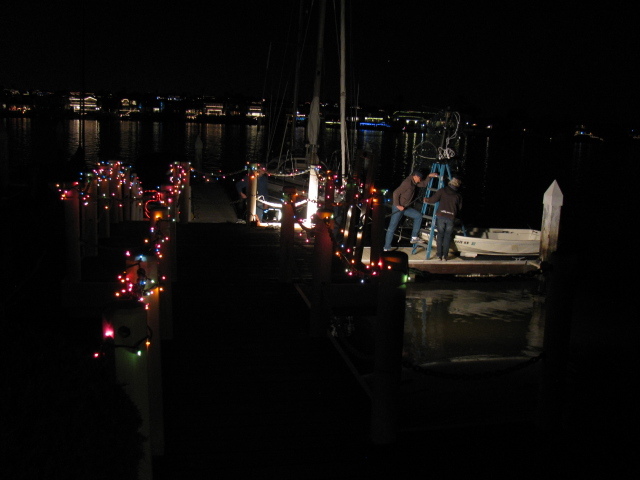 The boats were illuminated by Japanese lanterns.